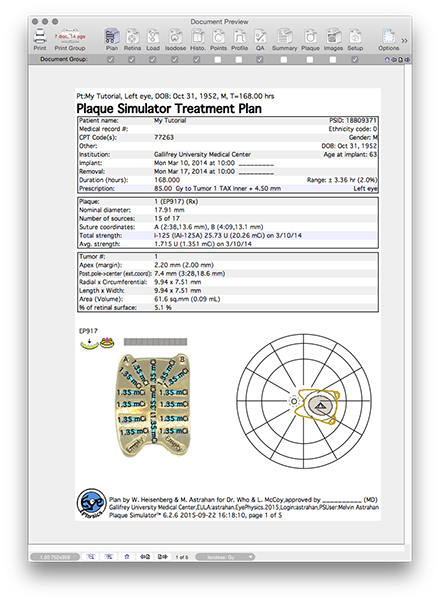 Each window and menu in Plaque Simulator is designed to organize a set of related modeling and treatment planning functions. 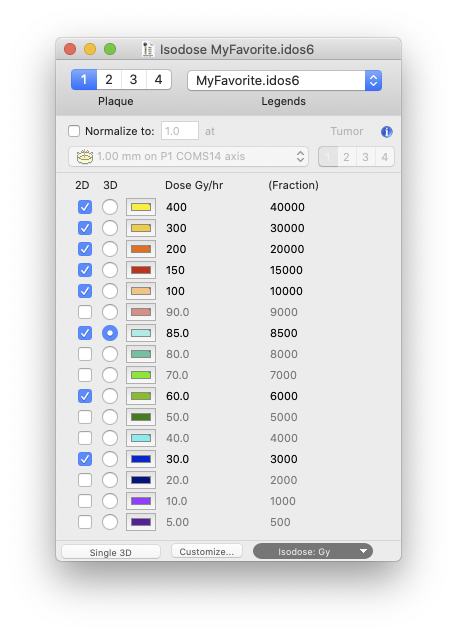 Some of Plaque Simulator's menus are always present on the MacOS menu bar at the top of your primary display screen. Other menus are present only when the window whose functionality they are most directly related to is the key window (ie frontmost on the screen). 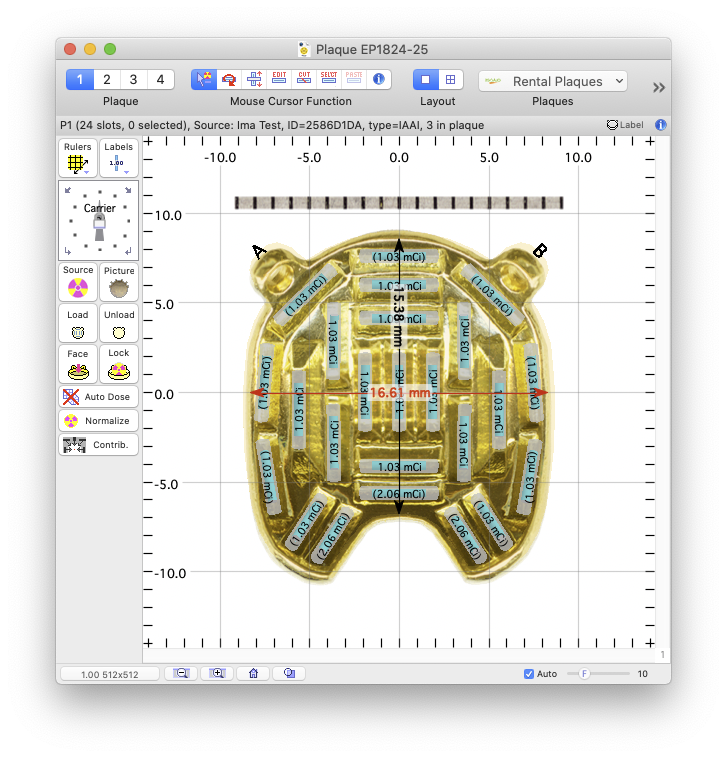 The links in this section provide an overview of the most important of Plaque Simulator's windows, their function and their related menus. Universal - these menus are always on the MacOS menu bar at the top of the screen. File menu - printing and file functions. View menu - zoom in, zoom out. 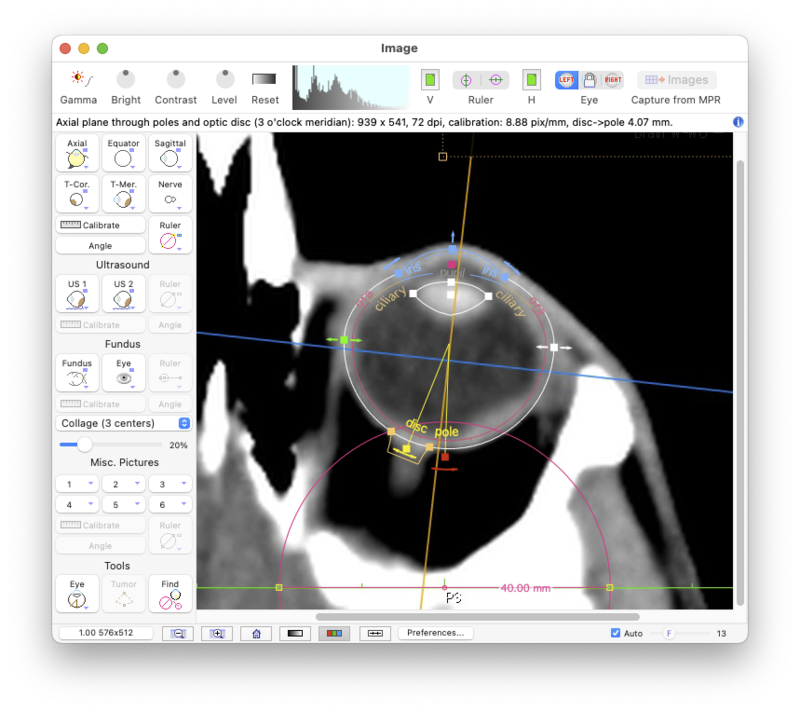 Dosimetry menu - dose calculations. Plan menu - patient identifiers. PSWindows menu - provides direct access to all of the PS windows. Window menu - provides MacOS services for windows. Help menu - open the PS user guide. 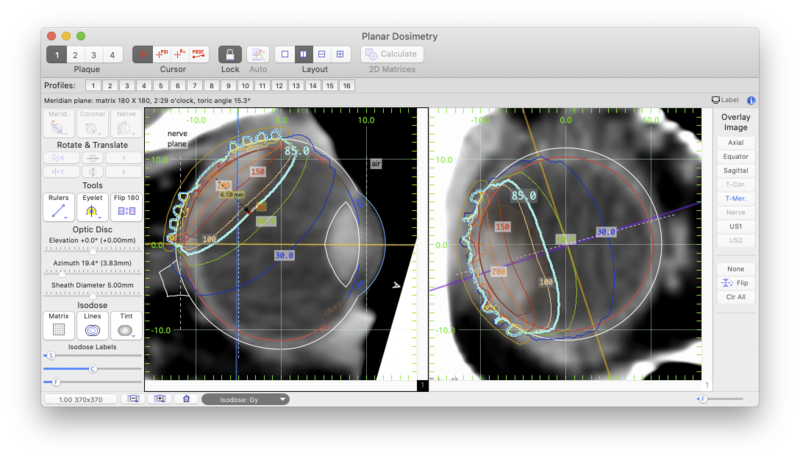 Window specific menus are inserted between the View and Dosimetry menus. The Setup menu is added to the menu bar when the Setup window is the 'key', or frontmost window. The Plaque menu is added to the menu bar when the Plaque Loading window is frontmost. The Rx menu is added to the menu bar when the Prescription window is frontmost. The Image menu is added to the menu bar when the Image window is frontmost. 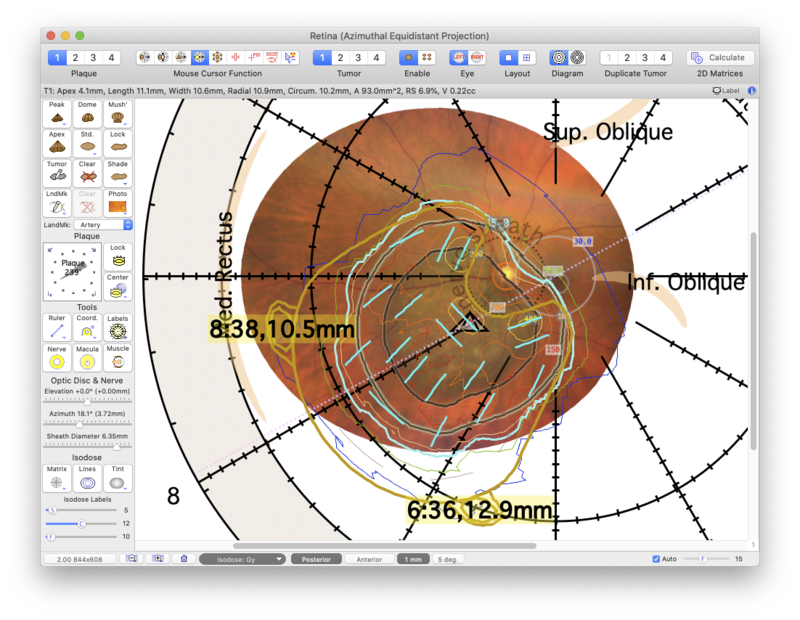 The Diagram menu is added to the menu bar when the Retinal Diagram window is frontmost. 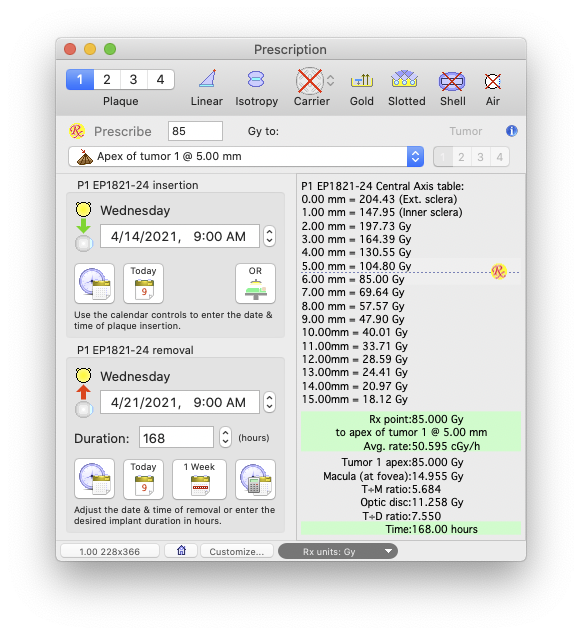 The Isodose menu is added to the menu bar when the Isodose window is frontmost. 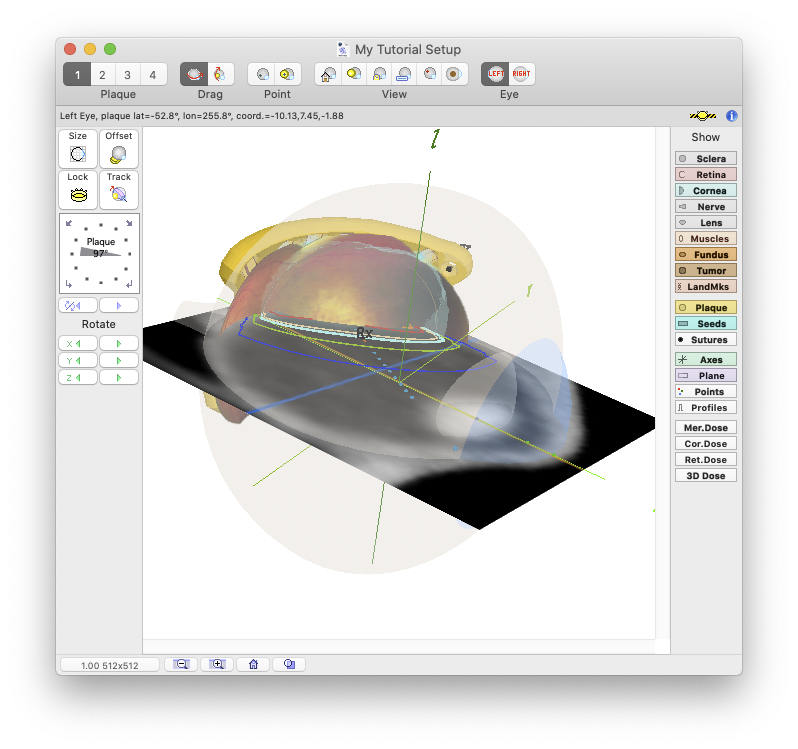 The Plot menu is added to the menu bar when the Planar Dosimetry window is frontmost.